external wall insulation, loft conversions & house extesions. Quality Builders Brighton (Sussex & London) is a familly business with many years of experience as building contractors, insulation contractors property maintanance and refurbishment company. We strongly believe in building a personal rapport with our customers to develop a better understanding of their requirements and expectations. We can write more about us but cooperation with our building & insulation contractors company will prove level of our service (house extension Sussex, loft conversion Sussex, External Wall Insulation) and all of this services are available in Brighton (Sussex) and London also. Choosing our company will be great selection and you can be quiet for the entire time of cooperation with us. We are a Brighton based construction company and insulation contractors (service available in London too). The quality of our workmanship is our main asset. 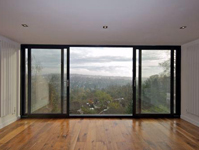 We have completed many residential and commercial projects in Sussex (Brighton) and London. We are happy to show you some examples to demonstrate the standard of our work. You can also speak to our previous clients to check how they rate the experience of working with us. Please contact us for a free, no obligation quotation. You can easy find contact to us on our website – just look below and feel free to write in every topic: external wall insulation, solid wall insualation, loft conversions Sussex, house extension Sussex & everything else . 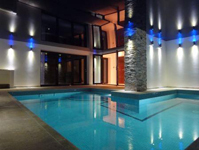 Why Choose Building contractors Sussex? Our experience of working closely with architects, designers, subcontractors and suppliers will ensure that your project will be unique and well constructed. If you are thinking about building, we would be happy to prepare a quotation for you and show you in more detail how to begin the project efficiently and effectively without compromising quality. We will make your goals our goals, and help make your vision a reality. There is nothing to lose but much to profit. Everything we do, we do in perfect way – it can be house extension Sussex or loft conversion Sussex – doesn’t matter, each service will be made reliably and precisely. 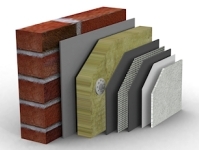 Just choose what you want: wall insulation, external insulation, external wall insulation, thermal wall insulation, solid wall insulation, house extension, loft conversion).